Guaranteed Mechanical Inc. has been successfully servicing the restaurant community and businesses throughout New Jersey for the past 14 years. We are at your service call 24/7. From walk-in refrigerators and freezers to roof top hvac units and commercial kitchen appliances. We do it all! We are committed to improving the customer experience through convenience, cost effectiveness and most importantly quality of service. We are ready to be of support when problems that threaten your business productivity arise. We are at your service! We thank you for allowing us to be of service to your business. We look forward to continue helping your business journey to be a gratifying experience. Calixto Guerra Sr began his humble entrepreneurial journey as a sole proprietor of Climate Control Systems back in February of 1992 serving commercial refrigeration and hvac equipment. He had an old van and a small room of his home was the office space at the time. During the company early years he acted as the sales person, technician, and office manager. His vision allowed the company to be a stable business from the outset. In May of 2003, Guaranteed General Maintenance Inc was born as a family business. He then shared the helm with his son and daughter and became president of the company. In 2014, Guaranteed General Maintenance re-branded and became Guaranteed Mechanical Inc.
Calixto Sr. remains actively involved in all of the company's daily activities and service team management. Calixto Sr. holds a Bachelor Degree in Electromechanical Engineering from The Autonomous University of Santo Domingo, Dominican Republic and has over 40 years of experience in the industry. Calixto Guerra Jr. also known as Manny began working with his father when he was 12 years old. On the Summer of 1993, he bought his first bike with his summer job earnings, and at this very early age Manny was able to successfully change his first compressor with his father guidance. In 2003, He joined the family business venture when his father founded Guaranteed General Maintenance Inc. He worked side by side with Calixto Sr as the service technician and field service manager. Under Manny’s leadership Guaranteed Mechanical Inc has adopted new strategies that are helping the growing of our customer base and scaling our business operations. 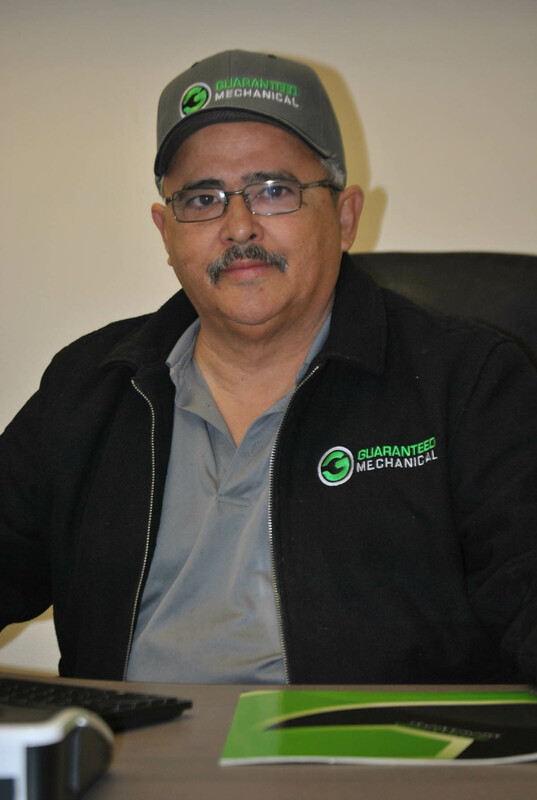 Manny holds a degree in HVAC and Refrigeration from Union County Technical & Vocational School in New Jersey and has over 15 years of experience in the field. 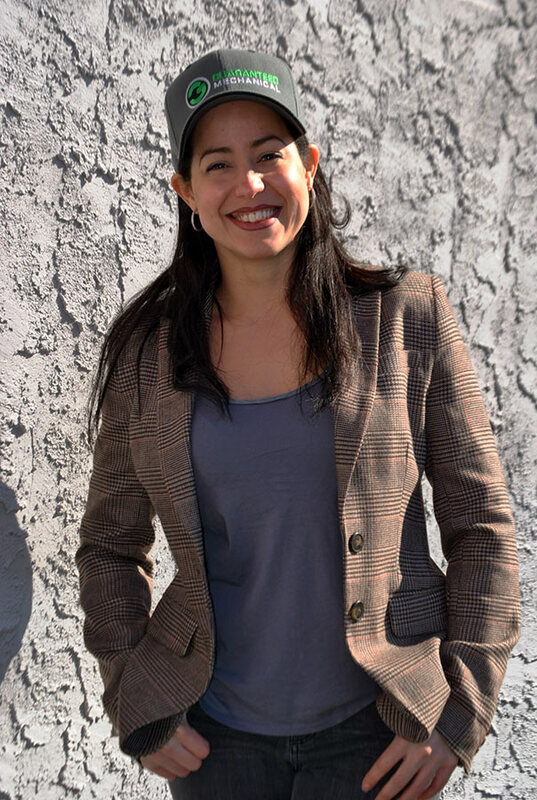 Mayra Guerra is the responsible of the company re-branding to Guaranteed Mechanical, as well as running the office in all facets. From balancing the books, to the creative direction of Guaranteed Mechanical brand re-positioning & design strategies. She works side by side with Calixto and Manny managing and growing Guaranteed Mechanical customer base. Mayra graduated from Kean University of New Jersey with a BFA in Interior Design.